Victorian College of the Arts Senior Lecturer in Theatre Dr Zachary Dunbar is the writer, director and producer of a riotously reimagined version of Sophocles’ Antigone, AntigoneX. He discusses his inspiration here. Hi Zachary, can you tell us about AntigoneX? AntigoneX is a reimagined, queered-up version of Sophocles’ Antigone. While it preserves some of the background story of Oedipus – the two brothers who warred with each other, and the fate of two sisters living in the state-run world of their uncle – it departs in several zany ways. Tiresias is a kind of post-feminist Taylor Mac character; Antigone and her sister are radical performance artists who survive this tragedy; Creon (the “Uncle”) is a cross between Dr. Strangelove and Tony Abbott, spouting leadership agendas that don’t make sense; a Pool Boy is a purposeless messenger; and Uncle’s son, Haemon, is “undecided” in terms of his sexuality. Perhaps the most interesting reimagining is the Clone Chorus of Bondi Boys who are ageing fast, transforming from cookie-cutter types into individuals with passions and needs. It’s a comic tragedy. Or better yet a “queer” tragedy, which would have gone down well in ancient Athens, especially with Aristophanes, upon whose comedies this is somewhat modelled. He wrote and programmed comedies alongside tragic productions. These were hilarious commentaries on current affairs, including philosophy, politics, sexuality. They even poked fun at the serious dramatists. It wasn’t about following strict plot structures or creating believable characters. His comedy was a form of lampooning but with really thoughtful and sophisticated reflections on the complexity of issues that concerned Athenian society. AntigoneX offers a reflection on the current politics of gender and sexuality, poking fun at the “alternativeness” of performance art and artists, and Australian leadership, especially the worldview of the likes of Tony Abbott. Darcy Whitsed in AntigoneX. Image by Ivan Kemp. Can you tell us a bit about your own creative background? I’m a writer, director and composer, and have worked across several theatre genres, including radio drama, Greek tragedy, musical theatre, Beijing opera, post-dramatic theatre, and dance theatre. Initially, I trained as a concert pianist and pursued a music career in Europe, but eventually crossed over into theatre. I’m a specialist in ancient drama, and received my PhD in the modern reception of performance of Greek tragedy. Several of my stage productions in London were reimaginings of classical Greek tragedy, including Delphi, Texas, The Ballad of Eddy Tyrone, and The Cows Come Home. 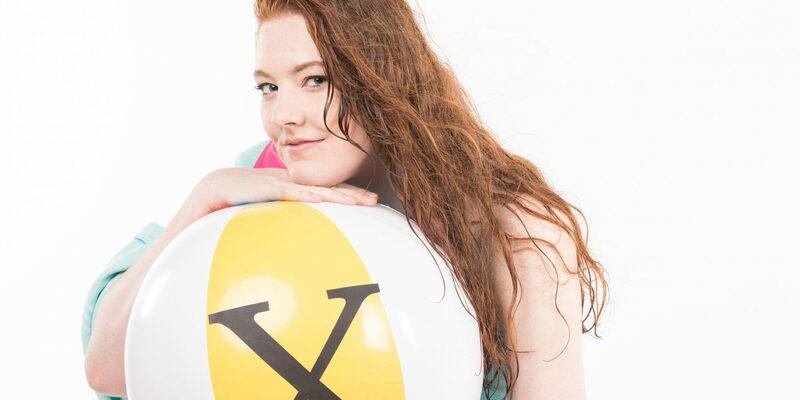 My original theatre works have been produced at the Pleasance Theatre, Bloomsbury Theatre, Brighton Underbelly, Embassy Theatre, Camden People’s Theatre, at the Edinburgh Fringe Festival and the prestigious Junge Hunde Festival in Denmark. Charles Meere, Australian Beach Pattern (1940). Image courtesy of Art Gallery NSW. What was the impetus to produce AntigoneX? 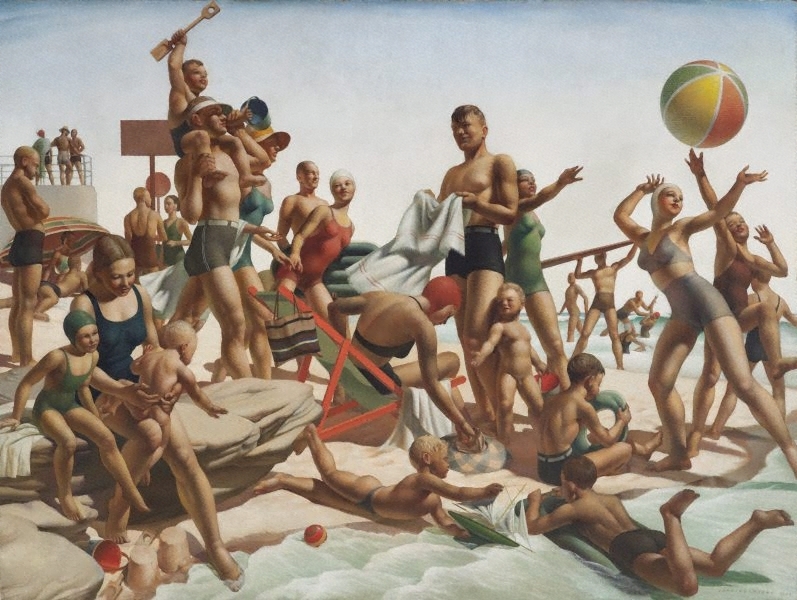 It was Charles Meere’s painting Australian Beach Pattern (1940). I saw this image eight years ago when I was living in the UK and it spoke to me about an idealised race which would have coincided with murmurings of fascism during that era. If you look at the Meere picture, you also see a depiction of a body-perfect monochromatic society. There’s a central female figure playing beach ball – that to me was Antigone – and the two baby boys playing on the beach – they’re the two brothers. I adapted Antigone and set it first in a kind of sci-fi lab about a leader trying to perfect a new race. When I came to Melbourne, I hadn’t realised that much of what I had written reflected the current politics here, especially the bizarre antics of Tony Abbott and the “budgy smugglers” thing. Is this the Creon character I imagined? I further asked myself: what would be a queer version of this? That is, how do you subvert this picture so it reveals the unspoken narratives of sexuality, gender and feminism? Nick Clark in AntigoneX. Image by Ivan Kemp. Who’s involved in the show? Almost the entire cast and creatives are VCA graduates or current students. Katy Maudlin (Master of Directing for Performance) is the show’s co-director, Nathan Burmeister (Master of Design for Performance) is the designer, and lighting and sound are by Nicholas Moloney (Bachelor of Fine Arts (Production)) and Christopher Wenn (VCA Tutor in Production (Technical)) respectively. Alysha Watt (Bachelor of Fine Arts (Production)) is our stage manager and James Jackson (Master of Dramaturgy) is our consultant dramaturg. As for the cast – they’re mostly VCA Theatre graduates, alongside a couple of actors from around Australia and New Zealand. Why should people go to see it? 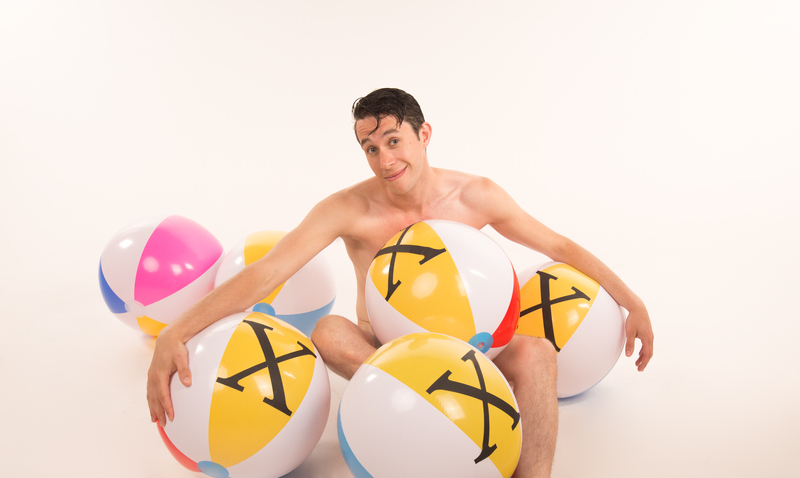 Well, it’s the first tragedy in history to be staged with beach balls! It would appeal to anyone interested in reimaginings of a classic play, who loves a good comedy, or who’s looking for meatier queer type of theatre. AntigoneX runs from Tuesday 30 January (preview) to Sunday 4 February at Theatre Works in St Kilda. Purchase tickets here. Banner image: Louisa Wall in AntigoneX. Image by Ivan Kemp.